A real-life soap opera is unfolding in Cardross Street in the heart of Brackenbury Village. 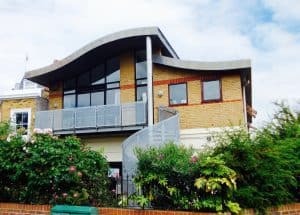 A Royal Ballet star, a man who owns a share in a race horse, and a peer’s daughter now live side by side with old folks who’ve rented their houses all their lives. 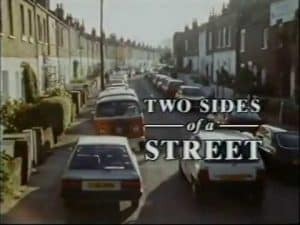 This was the basis for the acclaimed BBC TV documentary Two Sides of a Street which was broadcast in 1989 which will be screened twice at the Grove Neighbourhood Centre (GNC) on Tuesday 29 January. Two Sides of a Street (40 minutes duration) is a humorous and nostalgic glimpse into our community, of which the GNC is at the heart. The screening will also be a tribute to John Pitman, who produced and narrated the documentary. John was a long-time resident of Brackenbury Village, who sadly passed away last year. All funds raised will go towards the GNC, based in Bradmore Park Road. The event is sponsored by local independent estate agent, Horton and Garton. Screenings are at 4pm and 7pm. Tickets are £10 and include tea and cake (4pm) or a glass of wine (7pm). And to keep the celebrations rolling, The Andover Arms is offering 20% off bottled beer, house wine and food.